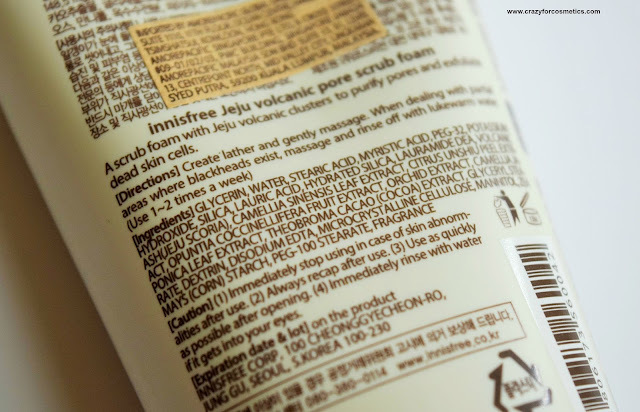 I have been a huge fan of Innisfree since I tried their Jeju Volcanic Pore Clay Mask and it is such an affordable brand and the products work wonders on my skin. You can read the review of their clay mask here. I have never been so loyal to any commercial brand like this before and I truly wish to try other products from their Jeju Series. 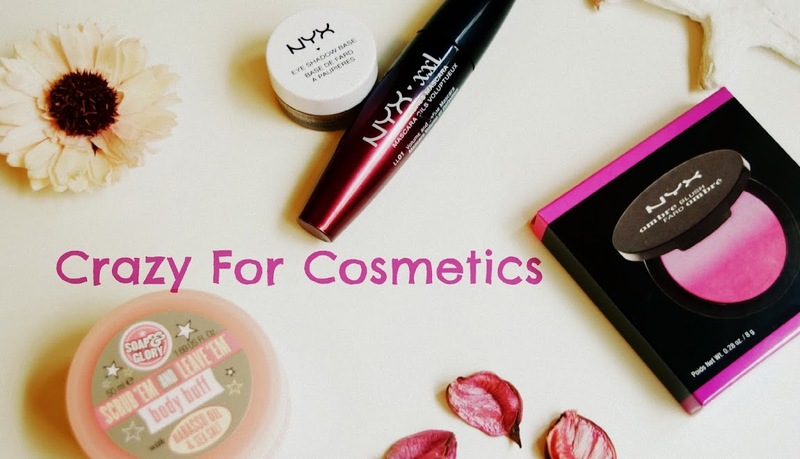 I always believe that products from the same range work better than mixing up products from different series. For now, I have tried their scrub & clay mask & I soon wish to try their toner and essence. 1. This scrub foam effectively removes dirt and dead skin from pores in only 1-2 uses a week. 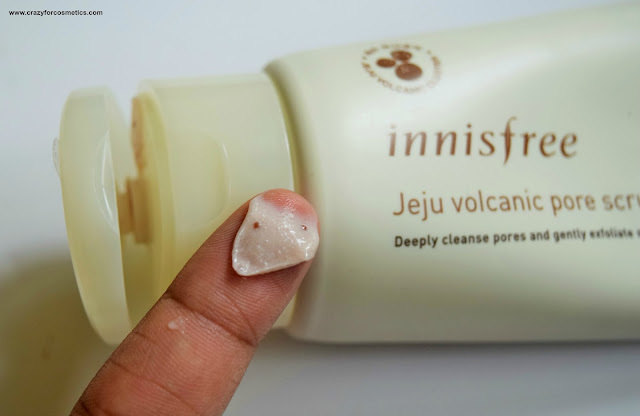 Natural Jeju volcanic clusters and red clay are some of the best ingredients for cleaning pores. - Pore Scrub Foam: Pore Cleansing (1-2 times a week)-- A gentle scrub foam that removes dirt and dead skin cells from pores. 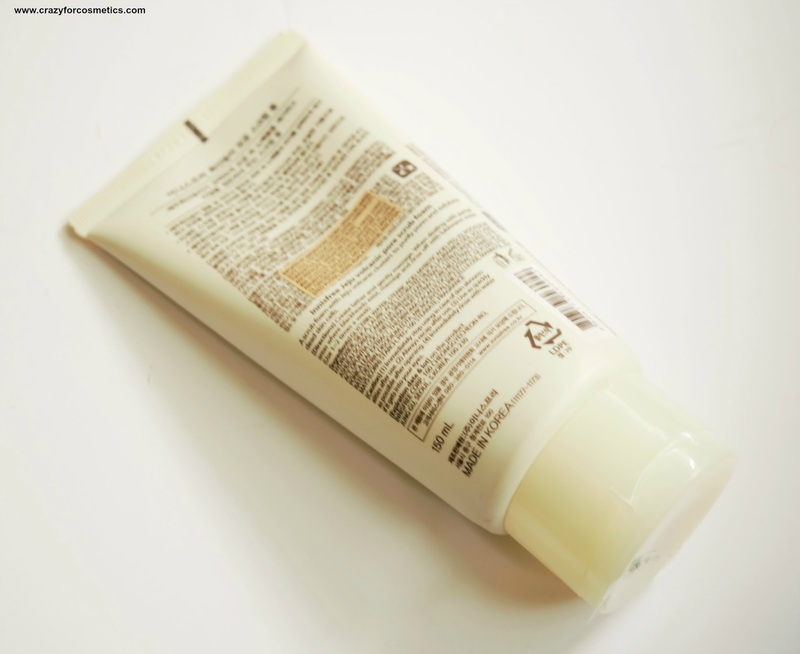 The scrub comes in a plastic tube packaging which is super convenient to use but the tube is quite big and it is ideal for only at home use. The tube is very sturdy and can be stored anywhere easily and does not leak. The product is of the right consistency and a small blob of the product produces a lot of foam and lathers quite a lot. The scrub is more of a mild cleanser than a rough scrub but the results that it produces are amazing. The scrub has mild volcanic clusters from the Korean Jeju Island which causes the dirt to be absorbed and the skin to look clear & flawless after every use. At the same time, it does not make your skin feel overly dry & stretchy like some other scrubs. The scrub does not feel harsh on the skin but at the same time, it works really well, due to the volcanic particles that pull off the dirt and oil from the skin. The scrub foam smells so much like a perfume which also adds to the freshness factor post usage. 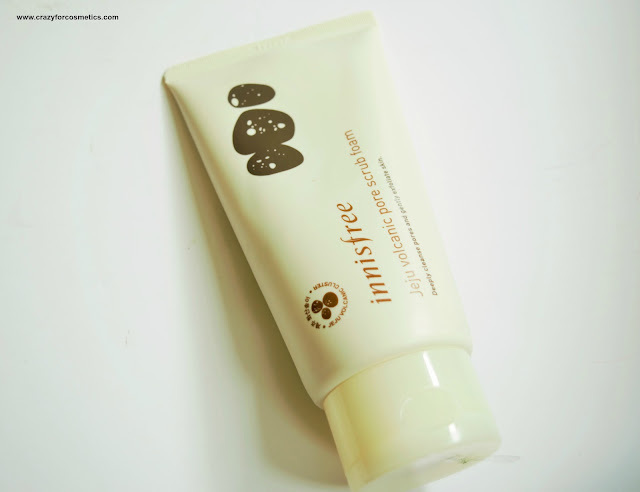 Innisfree has some great products in their Jeju range and this is one of them apart from their mask. I have been experiencing an increase in blackheads near my jawline recently and this scrub has helped to remove them in a gentle manner. You can use it every alternate day to keep your skin flawless and free of any dirt & dead cells. 1 : Feels really gentle on the skin. 2 : Exfoliates the dead cells & dirt really well. 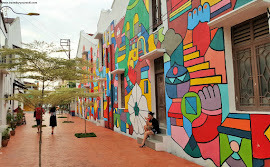 4 : The whole Jeju range is really great for the skin. 5 : Does not dry out the skin and can be used for dry skin also. 1 : Bulky packaging which prevents it from being travel-friendly.